﻿ Belair estate house ruins on Carriacou, produce was sugar cane and cotton. Belair estate house ruins on Carriacou, produce was sugar cane and cotton. Historical site the Belair plantation ruins, centre of Carriacou. Once headquarters of the peoples revolutionary army during the Grenada Revolution. Guides » Historical site in Belair on Carriacou. Belair cultural and historic area. 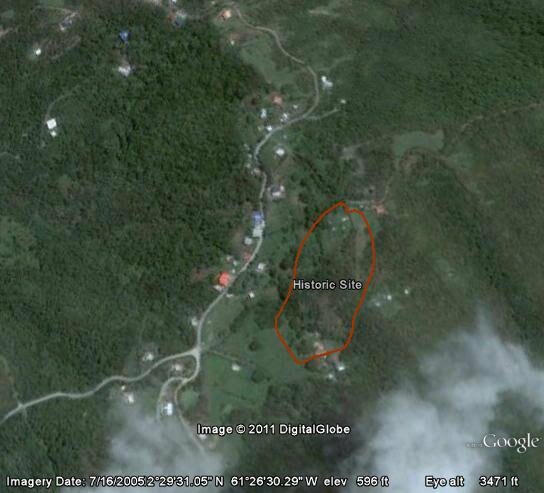 Belair historical site location on the interactive map of Carriacou. The Belair Cultural Landscape once served as a headquarters for the People’s Revolutionary Army. If you are interested, read more about the Grenada Revolution. Remains of the great house plantation in Belair. Historically the property was cultivated in sugar cane and thereafter cotton. In 1784, John Reid, Esq. owned Belair Estate. An old English great house was completed in 1809. Next to the great house, foundations of an older French house exist, indicative of the amount of times the island of Carriacou changed hands. The house looks upon the old windmill tower still in excellent condition. At one time the entire area was cultivated in sugar cane to support the mill. Thereafter, at the turn of the century, cotton became the predominate crop. This is the zone where Belair house ruins are. Just down the road is an old windmill foundation which is so intact it could be restored. 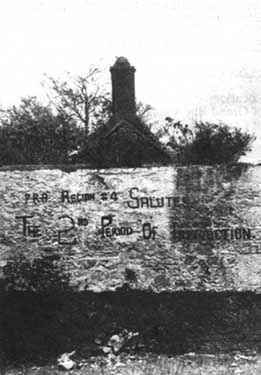 Belair house during the Grenada Revolution. During the People’s Revolutionary Government, the area was utilized as an Army Camp. At the time of the U.S. and Caribbean Forces intervention of Grenada, a large explosion occurred at the house which remains a mystery. 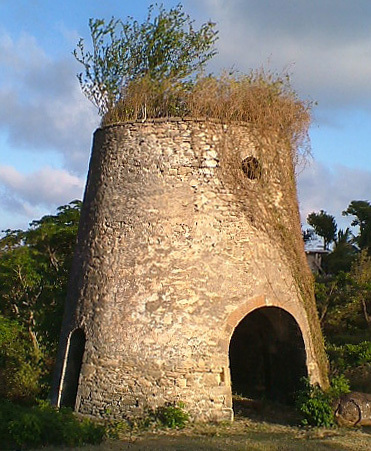 Belair has both French and English ruins, and the finest sugar mill and windmill foundations on the Island. A large cistern is also in place. The Belair Estate affords one of the most spectacular views on the island. To protect the ruins and initiate programs of education and research. Frances Kay Brinkley of the Historical Society has recommended that the Belair house be restored to a cultural and conference center. Funding agencies and private sector initiatives should be sought out to restore the house. Belair Great House, former camp of the PRA. at 0.03 km. Belair Pond. at 0.27 km. Windmill ruin between Belair and Meldrum. at 0.29 km. Sugar processing plant. at 0.35 km. Sunrise over Belair. at 0.45 km. View over Carriacou from the Hospital Hill in Belair. at 0.47 km. Windmill ruin in Belair on Carriacou. at 0.47 km. View from Belair over Windward towards Petite Martinique. at 0.56 km. Previous: Nature and national park zones on Carriacou. Next: Arawaks, the Amerindians as first settlers on Carriacou.